The global electricity sector attracted the largest share of energy investments in 2017, sustained by robust spending on grids and exceeding the oil and gas industry for the second year in row. The reason behind this surge is the energy sector’s movement toward greater electrification, according to the International Energy Agency’s 2018 review of global energy spending. 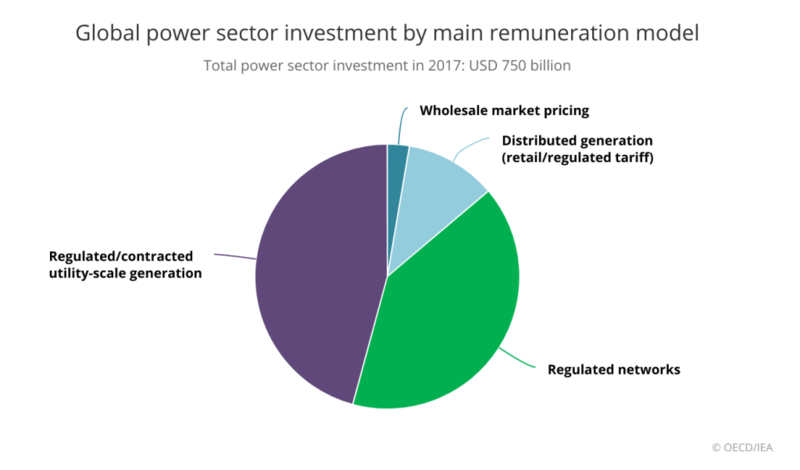 The electricity sector was the largest recipient of global energy investment for the second year running, reflecting the ongoing electrification of world’s economy and supported by robust investment in networks and renewable power. 2.5% of total sales of heating equipment. Power companies are modernizing electricity grids by spending more on, and acquiring businesses related to, so-called smart grid technology, including smart meters, advanced distribution equipment and EV charging, which accounted for over 10% of networks spending. investments outside the energy sector. Across all power sector investments, more than 95% of investment is now based on regulation or contracts for remuneration. Investment in energy efficiency is particularly linked to government policy, often through energy performance standards. policies that will enhance the reliability, affordability and sustainability of energy in its 30 member countries, 7 association countries and beyond. Engagement Worldwide: Working closely with association and partner countries, especially major emerging economies, to find solutions to shared energy and environmental concerns. The IEA has evolved and expanded over the decades. It is today at the heart of global dialogue on energy, providing authoritative statistics and analysis and examining the full spectrum of energy issues, advocating policies that will enhance the reliability, affordability, and sustainability of energy in its 30 members countries and beyond.